The Spanish phrase, si se puede—yes, you can—signifies one’s ability to accomplish anything with passion, persistence and determination. Rolando and Lorena Herrera, owners of Napa Valley’s Mi Sueño Winery (Spanish for ‘My Dream’) live this motto. 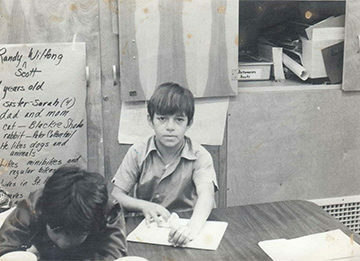 The inspirational tale of Mi Sueño is both a love story and the story of the American dream realized, one that came to fruition for Mexican immigrant Rolando Herrera as a result of hard work, raw talent, and the support of a strong community of mentors who led him along a path to success. Along with his wife, Lorena, whose family has deep roots in Napa and Sonoma counties as grape growers, the two founded Mi Sueño Winery in 1997, the year of their marriage. Rolando started his career in the Napa Valley in 1982 as a modest dishwasher at the exclusive Auberge du Soleil restaurant. Over the span of 15 years, his resume of employers began to read like the who’s who of the Napa Valley—from the legendary Warren Winiarski, founder of Stag’s Leap Wine Cellars, to winemaking great Paul Hobbs. Each experience was an opportunity to learn more, and with every move Rolando harnessed his work ethic with his love of farming and wine. Together, Rolando and Lorena have built their dream winery with love, passion, and a deep understanding of the art of growing exceptional grapes and crafting award-winning wines that are rich in character and elegance. As Rolando says, ‘‘farming and making wine is not science, it’s experience.” And experience he has. For over 20 years Mi Sueño Winery has not only represented a “dream come true” for the Herreras, but has also come to be recognized as one of the great independently owned and operated wine producers in California. Growing up in a rural area of Mexico, Rolando learned to work the land and respect farming. His grandparents had a six-acre farm where they grew corn, wheat, pumpkins, squash, and many other vegetables, which they sold for their family’s living. 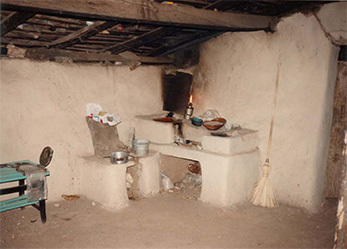 He remembers complaining about the hour long walk up a rocky mountain to the family’s ejido (a communal farm). This is where Rolando’s abuela (grandmother) told him she grew her best crops for the family’s consumption. Rolando tasted the crops from the various sites and knew his grandmother was right. This lesson he would remember later in life, as it was his first lesson about terroir. 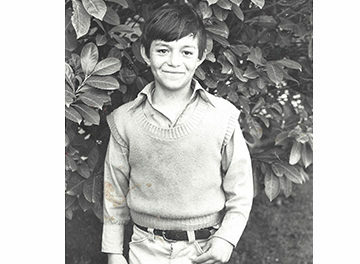 Rolando was just eight years old when his family moved from El Llano in the Michoacán state to Northern California in 1975. His father saw an opportunity, like so many immigrants before and after him, to better his future through hard work and a willingness to sacrifice his greatest values—his home, his extended family, and his culture. After five years, in 1980, his family returned to Mexico, but Rolando dreamed of living in Northern California. He recalls riding bikes through grape pomace and learning how to plant and nurture seedlings and small plants. He also knew that his chances for a great education were better in California, and he begged his father to let him go back. When Rolando turned 15, he fearlessly returned to Napa Valley with his brother, determined to make something of himself in the United States, against all odds and adversity. Without the financial support of their family or a clear plan, they lived in a plant nursery in the beginning and Rolando picked up multiple jobs to support himself while he finished high school. He worked nights as a dishwasher at Auberge du Soleil and at Cindy Pawlcyn’s seminal Napa Valley restaurant, Mustards Grill, where he graduated to line cook. Although he enjoyed restaurant work, he longed to return to his rural roots and work outdoors. The summer of 1985 was a turning point in Rolando’s career path. Warren Winiarski of Stag’s Leap Wine Cellars, a meticulous owner-wine grower, hired him to break up rocks so that he could build a stone wall around his property. Later that summer, as Rolando completed his work and was getting ready to return to his senior year in high school, he approached Winiarski to thank him for the job. Winiarski was surprised—usually the workers he hired did not approach him and make a personal connection. Inspired by his work ethic and gumption, he immediately offered Rolando an opportunity to work crush and help in the cellar. Still needing to support himself and preferring the work in the vineyard and cellar, Rolando accepted the position, going to school during the day, and working for Stag’s Leap at night. 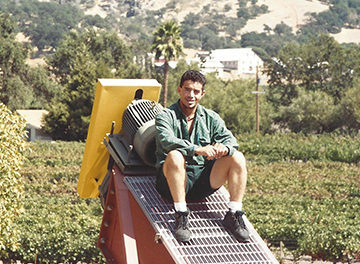 After only three years, Rolando became cellar master at Stag’s Leap Wine Cellars, where he held the position for seven years. During that time, he took courses on viticulture and enology at Napa Valley College. Rolando has been in the wine business since—with positions as assistant winemaker at Chateau Potelle, winemaker at Vine Cliff, and director of winemaking of Paul Hobbs Wines. He feels that while he’s dedicated most of his waking hours to wine, that he’s never worked a day in his life. Each position he has taken was another step along the way to his own sueño. 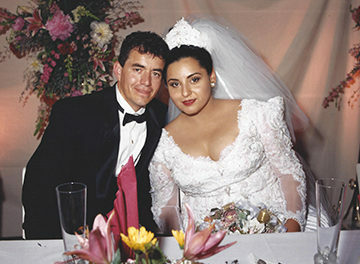 In 1997, Rolando married Lorena, after more than a decade of friendship and courtship. Lorena is the oldest child of Reynaldo and Maria Robledo, who had also come to California as migrant workers in the late 1960s. Today, her family owns over 350 acres of vineyard land in Napa, Sonoma and Lake Counties. With a shared understanding of farming and wine, Rolando and Lorena produced 200 cases of Chardonnay later that year and launched Mi Sueño Winery as a side project. Originally intended as a “resume in a bottle,” the wine garnered attention from friends and family who encouraged the couple to sell the bottles. The wine sold out three vintages in a row, and Rolando and Lorena realized they were on their way to making their dream come true. Rolando and Lorena have never understood why winemakers typically outsource the most important job of all—farming the land and caring for the grapes. 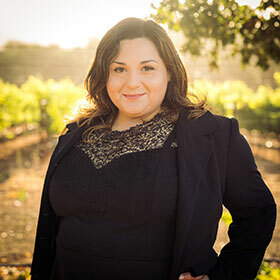 They decided to take matters into their own hands to control 100% of their winemaking, from farming to bottle, and founded Herrera Vineyard Management in 2003. They also launched an ultra-premium label that same year, Herrera Wines, with each micro-bottling dedicated to one of their six children. “We are vintners that practice the good old traditional way. We work on our land, we are the farmers, the growers, and the winemakers. We have 100% control, which is something that is becoming increasingly difficult for wineries that are our size,” says Rolando. With their full-time crew of highly trained and skilled workers, Rolando and Lorena farm 40 acres of estate vineyards in their favorite appellations including Oak Knoll, Coombsville, Los Carneros, Russian River Valley, and Sonoma Mountain. In 2016, they purchased a property on Mt. Veeder, which they will devote in the coming years to the varietals in the Herrera portfolio. 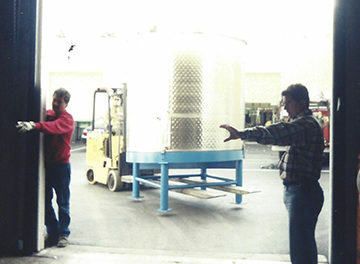 Mi Sueño produces between 8,000 and 10,000 cases of wine per year. All wines are bottled unfined and unfiltered. Bottlings include Los Carneros Chardonnay ($42), Sonoma Mountain Chardonnay ($55), Los Carneros Pinot Noir ($42), Russian River Valley Pinot Noir ($55), Cabernet Sauvignon ($75), Syrah ($55), Tempranillo ($55), and a red blend made of primarily Cabernet Sauvignon and Syrah, “El Llano” ($49). Wines are available in select fine wine shops and restaurants across the country, and can be purchased directly from the tasting room or online at www.misuenowinery.com. 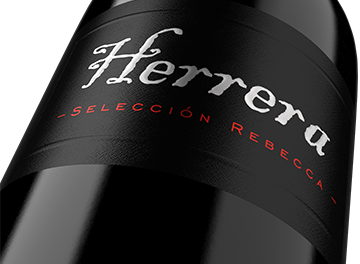 Under the Herrera label, Rolando and Lorena make a very limited production of ultra-premium wines named for their children. These wines, available only by joining the allocation list, include the Perla Chardonnay ($70), Esmeralda Pinot Noir ($70), Victoria Malbec ($95), Valeria Petit Verdot ($95), Rolando Jr. Cabernet Sauvignon ($140), and Rebecca Cabernet Sauvignon ($140). It is immensely clear that the Herrera definition of success is not measured by retail prices or wine scores, but by the family’s ability to live and work according to their family’s values, heritage and traditions. And the dream continues—someday Rolando and Lorena hope to build a winery and tasting room on their newly purchased Mt. Veeder property up valley. Latin culture and hospitality go hand in hand, and the Herreras enjoy entertaining as much as they enjoy making wine. 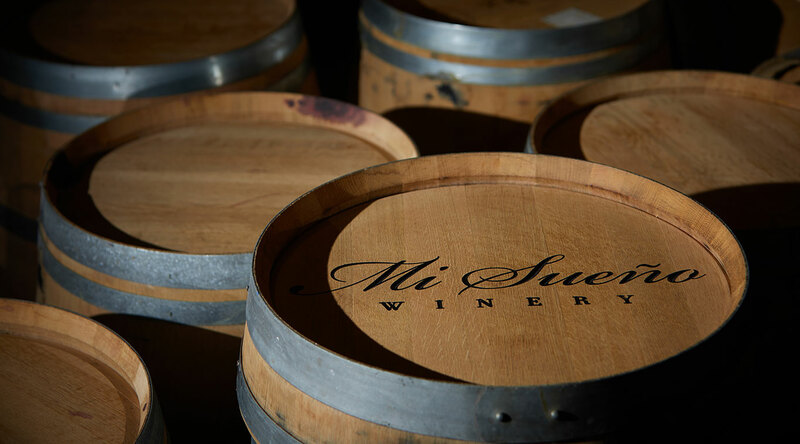 These values emanate into each visitor experience at Mi Sueño Winery, providing an intimate tasting experience while giving a behind the scenes tour of the winery. Located in the warehouse district of southern Napa at 910 Enterprise Way, tastings are available Monday-Sunday from 10:00 am to 5:00 pm by appointment. There are no gilded fences at the entrance to this winery—it is a working winery where guests will find memorable wines, great stories, and a chance run-in with the winemaker himself, who still comes to work each day with the same passion and dedication he brought with him into this country at the age of 15. Rolando Herrera’s story is the epitome of the American dream realized. Rolando left his home in El Llano, Mexico at age 15 to build a life in the Napa Valley. While enrolled in high school full-time, Rolando spent his nights working as a dishwasher at Auberge du Soleil. He got his start in the wine industry as a harvest laborer at Stag’s Leap Wine Cellars following graduation, and over the next 10 years he worked his way up to cellar master. Rolando’s passion for wine led him to roles of growing importance at other wineries, including assistant winemaker at Chateau Potelle, winemaker at Vine Cliff Winery and then director of winemaking at Paul Hobbs Consulting. 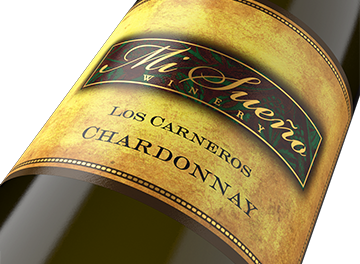 In 1997, Rolando made 200 cases of Chardonnay as a “side project” and Mi Sueño (Spanish for ‘My Dream’) was born. 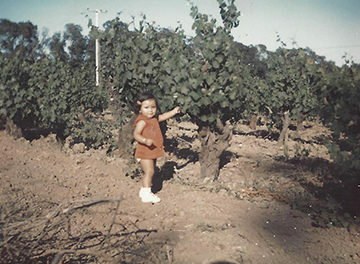 Lorena Herrera is the oldest child of Reynaldo and Maria Robledo, who came to the Napa Valley from Mexico as migrant workers in the late 1960s. Raising their nine children in Napa, Lorena’s family instilled in her a proud tradition of tending vines and growing grapes.Today, her family owns over 350 acres of vineyard land in Napa, Sonoma and Lake Counties. Lorena and Rolando met at church as teenagers. They developed a friendship that lasted 10 years before marrying in 1997—the same year she helped Rolando found Mi Sueño. 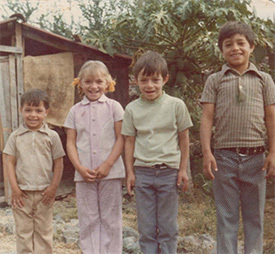 Parents Jose Luis & Maria de Jesus Herrera welcomed Rolando into their family in El Llano, Michoacán, Mexico. 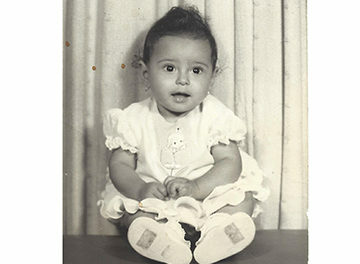 Born to parents Reynaldo and Maria Robledo in Zamora Michoacán, Mexico. 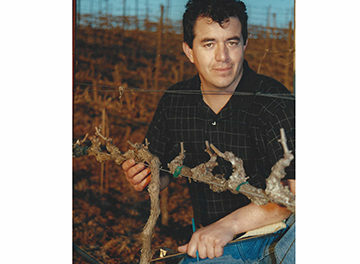 The Robledo family transplanted to Sonoma and developed vineyards in Sonoma, Napa, and Lake counties. Seeking a better life for his family, Rolando’s father moved the family up the coast of California, settled in St. Helena to take a job in a vine nursery. Ready to retire, Rolando’s parents moved the family back to their hometown of El Llano, Mexico. Rolando missed the American way of life and beauty of the Napa Valley. He and his brother Jose Luis Herrera Jr., moved back to St. Helena and enrolled in high school while supporting themselves by working on nights and weekends. Rolando’s first job was a dishwasher at Auberge du Soleil. Rolando turned a quick stint building a garden wall for famed winemaker Warren Winiarski into the job of a lifetime. 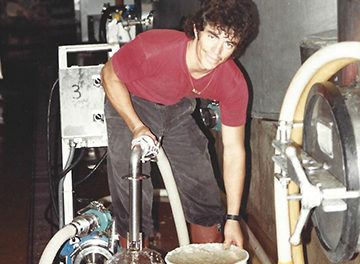 He started as a “Cellar Rat” at age 17 and within 3 years was promoted to Cellar Master. Rolando learned to make wine elbow to elbow with one of Napa’s legendary winemakers. 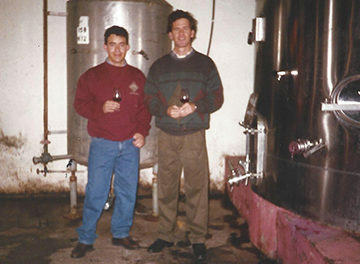 Rolando seized the opportunity to grow as a winemaker and answered a job advertisement to become the assistant winemaker at Chateau Potelle for Jean-Noel and Marketta Fourmeaux. He was impressed by their “old world” style of winemaking and deep connection to the land and terroir of Napa. After 10 years of friendship, Rolando proposed to Lorena in 1996 and they were married in April of 1997. Lorena gave birth to their first daughter Rebecca in 1998 and gave Rolando five additional children throughout the years. Rolando was eager to launch his own brand and produced his style of wine. He purchased grapes from Lorena’s father and produced 200 cases of Chardonnay as a “resume in a bottle” to entice investors. 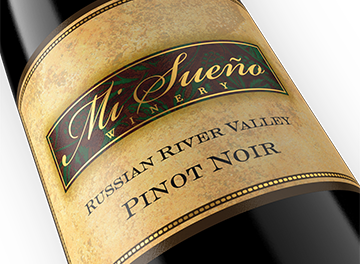 After great feedback, they decided to sell the wine instead and Mi Sueño Winery was born – with its first vintage selling out quickly. 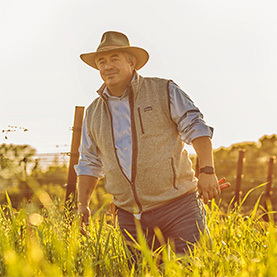 Rolando could not turn down the chance to farm legendary vineyards in the heart of Napa Valley and took the role as Winemaker for Vine Cliff Winery. Ever since their first meeting years prior, Rolando greatly admired Paul Hobbs. As Director of Winemaking he had the opportunity to farm numerous vineyards throughout Napa and Sonoma and get to better understand the diverse microclimates. Rolando returned home one day to find a voicemail from the White House on his phone. At first he was skeptical, and thought it was a prank – until he was told his third-ever vintage, the 1999 Los Carneros Chardonnay, was being served by President George W. Bush at a state dinner in honor of President Vicente Fox of Mexico. Rolando and Lorena never understood why most winemakers typically outsource the most important part of the winemaking process – the farming. Together they launched their own vineyard management company so they could completely control the entire process from grape to bottle. Rolando and Lorena wanted to create wines that explore a single varietal and express the essence and soul of a specific vineyard. 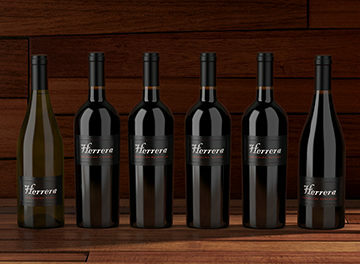 They launched the Herrera portfolio with the Rebecca Cabernet Sauvignon and added 5 other wines over the years. They produce just over 100 cases of each wine annually and name each wine after one of their children. The time was right and Rolando’s gut told him it was time to go all-in on his seven-year-old business. At the time, he was managing Mi Sueño Winery on the side while keeping a full-time job at other wineries. However, now it was time to focus on his own brand and spread his wings as an entrepreneur. Rolando and Lorena had the honor of their 2006 Russian River Pinot Noir being poured at a Cinco de Mayo celebration hosted by President George W. Bush at the White House. At President Barack Obama’s first-ever state dinner, he honored Mexican President Felipe Calderón Hinojosa, and paired the 2006 Herrera Rebecca Cabernet Sauvignon with a wagyu beef mole dish. Rolando and Lorena’s dream is always evolving and they purchased property on Mt. Veeder to bring their dream to life. They hope to plant vineyards for their Herrera wines and build a winery and formal tasting room. A wishful dream turned into reality. Rolando, Lorena, and the entire Mi Sueño family celebrates the first 20 years of the winery with a celebration in August 2017.